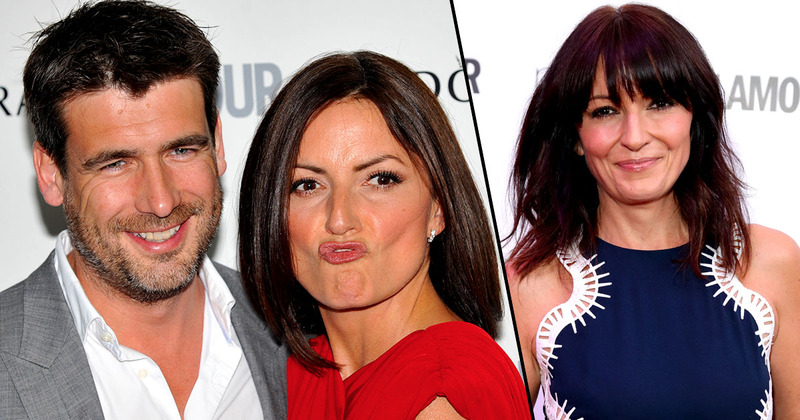 TV presenter, Davina McCall has split up with her husband of over 17 years, Matthew Robertson. In a statement released by the 50-year-old, she explained how her ‘amazing children’ had been the married couples priority throughout a ‘difficult time’. I am very sad to say that Matthew and I have separated. Our amazing children are our number one priority above everything else so therefore, we ask for as much space and respect from the media as possible while our family goes through this difficult time. The news comes just days after an Instagram post was made by Davina claiming she ‘had made so many mistake in her life but there is always a new day’. Thank you @kayla_itsines for this ? . I really know about this one… I have made so many mistakes in my life … but there is always a new day ? Speaking on The Jonathan Ross Show earlier this year, Davina admitted the couple had attended marriage therapy sessions after numerous rows. We had the same row. It might have been about different things but it would be about the same thing and it would get to the same point and I thought, ‘we’re never going to get past this particular row’. People have sticking blocks in their relationship and they get stuck at the same point… It worked brilliantly. We did it… Our kids were amazing , that was an epic hike!!! I’m very lucky, because as far as I know I’ve married a really faithful guy. Unfortunately though, it appears the counselling sessions and renewing of the vows didn’t work. Davina has two children to former Pet Rescue presenter, Robertson, who she married back in 2000 – when she began presenting Big Brother for the 11th series.